Ever since November 1st, we've been playing Christmas music in our house. You might think that it is a tad too early to start listening to Christmas music, but not us. We absolutely LOVE Christmas and basically feel that it is really never too early to start celebrating! The same goes with thinking about gift giving. Every year we try really hard to get a jump on thinking about what we'll be giving to our family and friends for Christmas. And as much as I'd like to say it is because of truly altruistic intentions, it is actually because we want to get the best deals possible. And isn't the saying true - the early bird gets the worm? 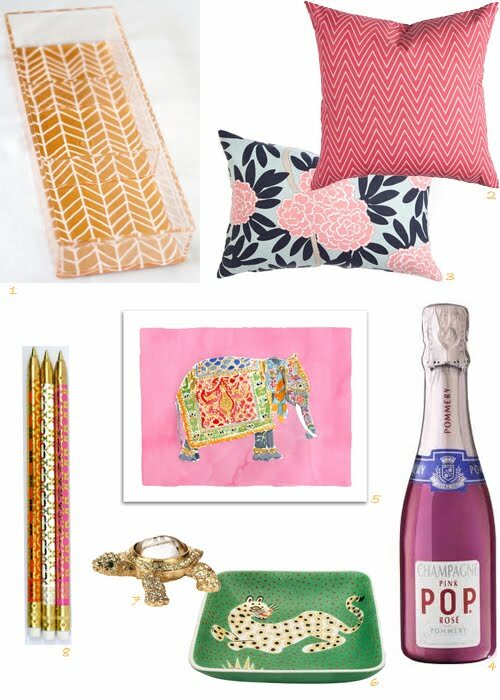 These are a few of my favorite things that I'd love to find underneath the Christmas tree. Well, maybe not #6 & #7 since those are a tad too expensive, but I just had to add them since they were so unique.